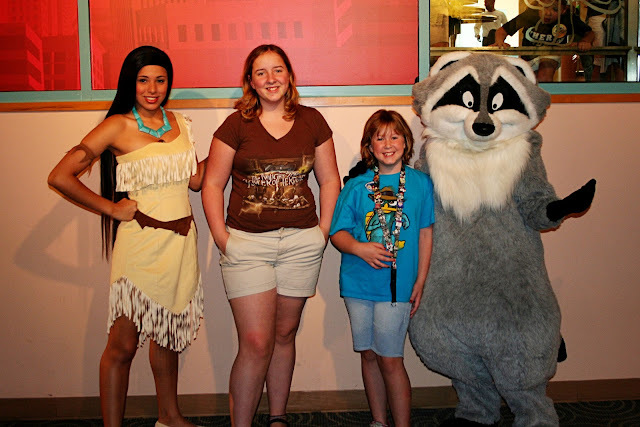 Do your kids like to meet the characters? Do YOU like to meet the characters? One of the best ways is the unadvertised Characterpalooza at Hollywood Studios. If you go the area by the Animation Academy (inside of the Art of Disney animation building) - at 4:45 - only on nights when Fantasmic! starts later than 7pm - there will be a quick parade of characters - with no to hardly any line. You never know who you'll see - or how long they'll be out. And it's over within 30 minutes! 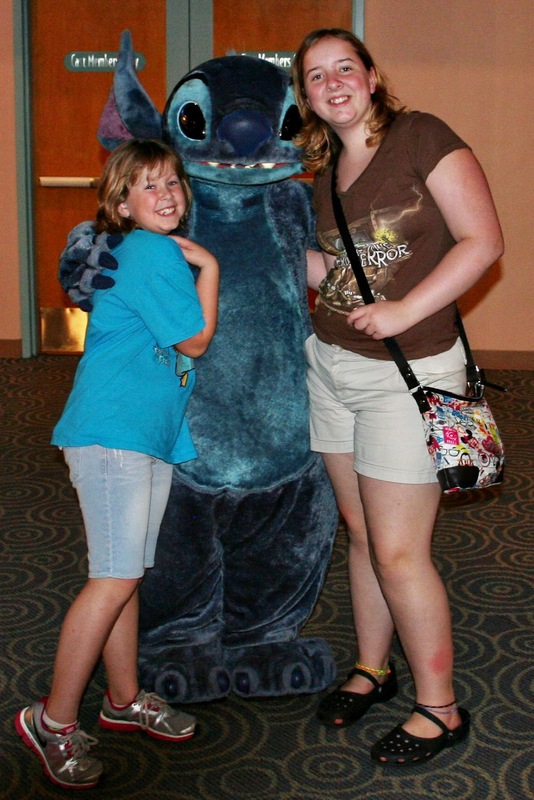 My girls are of an age where they like characters - but they don't want to wait in line to meet them. So they were THRILLED to see that they could just walk up to them and get some pictures! Cool - Pocahontas with Meeko and Stitch! We headed out because we had some fast passes to use - and we saw the be all end all of characters. 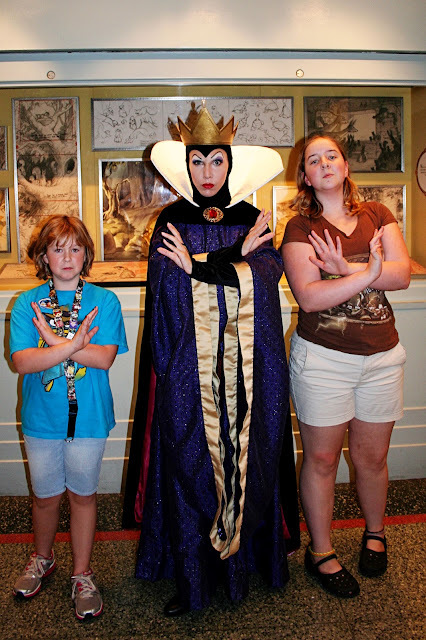 At least it's the be all end all in our house as we LOVE us some villains! I love how they all posed together! So...what about you? Who is your "be all end all" character?